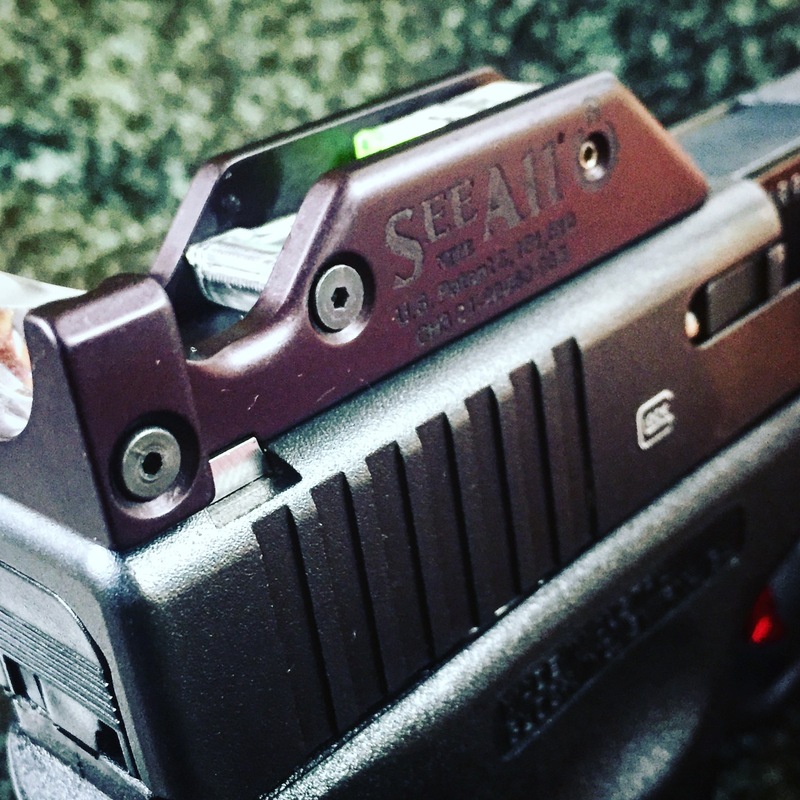 Over the past year or so, I have made it my mission to investigate many different options for self-defense pistol sights. There are several intriguing designs I have tested and evaluated over that time. 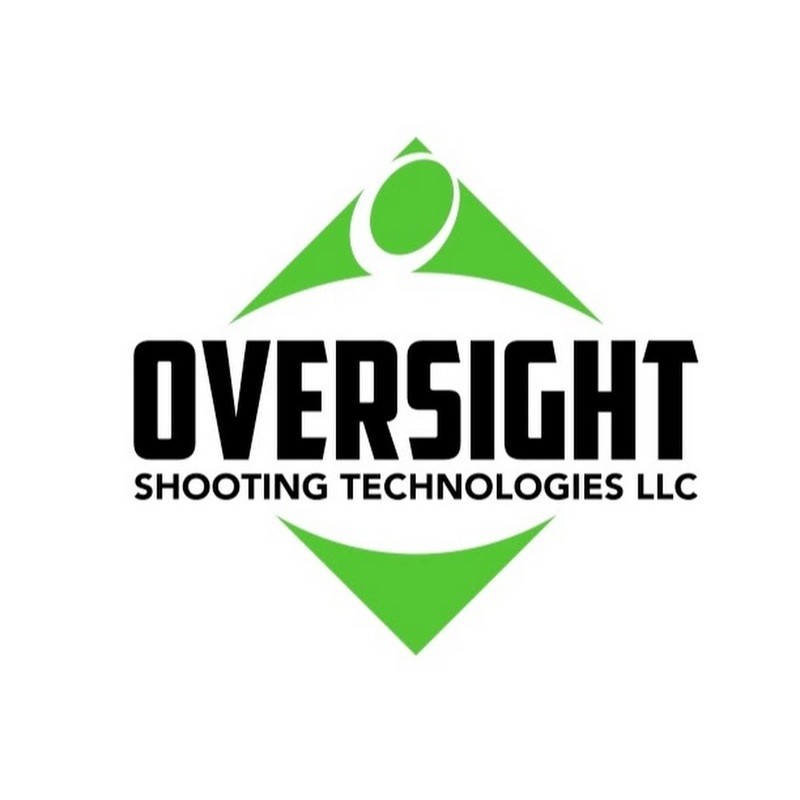 My testing and evaluation of these sights would be lacking if I did not include the See All Open Sight from Oversight Shooting Technologies. This sight has a unique design that is tritium lit and made for pistol or rifle application. 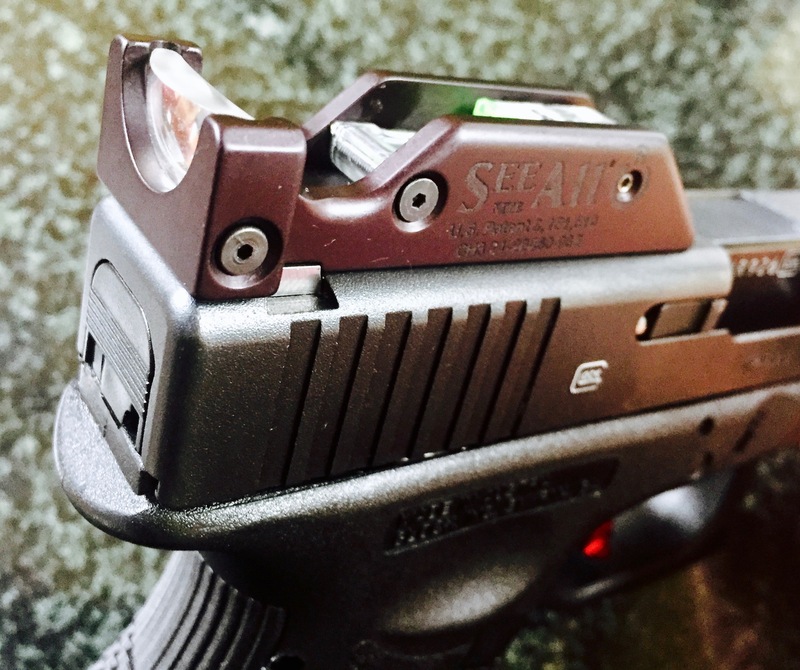 The See All Open Sight design is unique and I can best describe as a cross between iron sights and a red dot RMR (Ruggedized Miniature Reflex). It uses either a crosshair or delta reticle, depending on your preference, with the image of whatever you choose being magnified in the rear sight. The point of impact (POI) is the top point of the delta reticle or centered crosshair. I chose to test the delta reticle style because I find that the delta reticle shape is intuitive for me. The sight is tritium lit so it can be used in low light applications. The sight is fully adjustable with included allen keys. It looks like it is fragile, but I did not try to destroy it (my sight is a loaner from Oversight) but after researching it a bit more, I found that it is nearly indestructible. It sustained impacts, extreme temperatures and even being run over by a vehicle. I mentioned a second ago that it's easy to put on, here is a short version of the process: It uses a block that slides into the dovetail notch on your slide. The unit then slides over-top of the block, and a set screw attaches the sight to the block. Initially it was hard to get used to and I had some issues giving up the idea of having a traditional front sight for a reference point. I mentioned above that the See All is a cross between an RMR and iron sights. Unlike an RMR that can be co-witnessed (the ability to have both RMR and iron sights available) it does not allow for co-witnessing. In fact, you don't use an iron front sight with it at all, as you wouldn't be able to see it anyhow. This may be a drawback for someone installing it on a self-defense gun. While there is no battery to fail, and the sight seems nearly indestructible, there is some peace of mind having some iron front and rear sights if all else fails. This is probably not a deal breaker for many. I mentioned that it was difficult for me to get used to shooting with it. I spent some time dry firing and working on getting good sight alignment with it and after about 30-45 min I began to feel much better as I acquired the reticle quicker and was able to place the tip on the target. It definitely took some re-programming of my brain to feel comfortable using the sights. I feel that if someone has been shooting an RMR sight for some time, the transition to the See All would be easier than someone who is accustomed to iron sights. One thing to note is that if you are a shooter that closes one eye to aim, it will be harder to acquire the reticle. Using a sight like the See All really lends itself to shooting with both eyes open. I feel this is a good thing, and definitely not a drawback to the See All. I compare the See All a lot to RMR type sights because it really is most comparable to them, even though it is not a true RMR sight. One thing to note about its design is that the front sight will cover part of the target. The way the sight works is that the top tip of the delta reticle is your point of impact (POI). 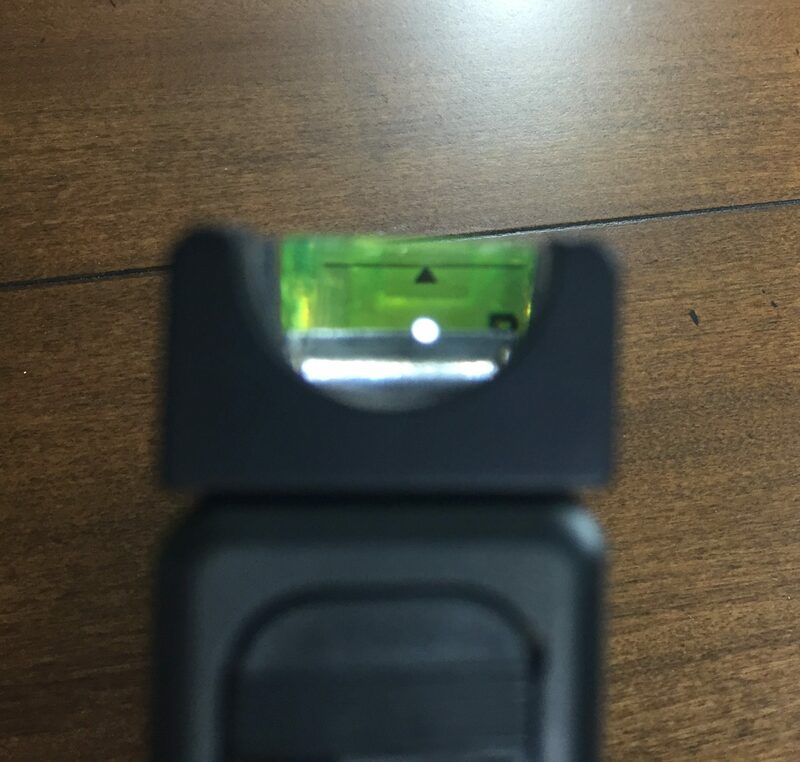 You cannot see anything below the top tip of the delta reticle, so part of your target will be obscured, as opposed to a true RMR that allows you to see below your POI because your POI is just a glowing dot. Some may not find this an issue, and for me, it was not a deal breaker, but I would definitely prefer a sight that does not obscure the target. The delta reticle was easy to pick up in bright light, and I found no glare on the glass. The tritium in the See All worked great. I was able to easily acquire the sights in extremely low light. I had to make some adjustments to it out of the box for accuracy. The sight is fully adjustable for windage and elevation, but you have to take your time and be patient with it. There are no clicks, just a screw which is turned with an Allen wrench. So you have to make sure you make your adjustments incrementally instead of making drastic zero changes right away. That being said, adjusting it is really easy and there was no problem getting them dialed in. Once I got it all dialed in, I ran around 200 rounds through the gun. I have to say towards the end I was getting pretty fast at acquiring the sight. Comparing it to other designs, I found the See All a little bit more difficult than other designs to get used to. So, all in all, I can definitely say that the See All Open Sight is not only unique but also functional. It has some really good things going for it, in the fact that you can use it across multiple platforms. It is tritium lit, so no battery issues, and is simple to install. You can save a little money because the unit does not require slide modifications to be installed. It is durable, rugged, and easily adjusts for windage and elevation. It is in line with other high-quality sights, and is much cheaper than RMR style sights. And of course, it allows for very fast sight alignment once the shooter becomes accustomed to the method. A couple drawbacks are that it cannot be co-witnessed, and that it will not work in many standard holsters, as the holster needs to be cut for an optic to allow clearance. Additionally, the learning curve is great and it can be difficult to get used to. The See All Open Sight is truly something different that bridges the gap between traditional iron sights and extremely expensive RMR's. I find that it possesses some of the benefits and drawbacks of both traditional iron sights, and RMR type sights. I feel that most defensive pistol shooters are pretty selective about the gear they use on their EDC. 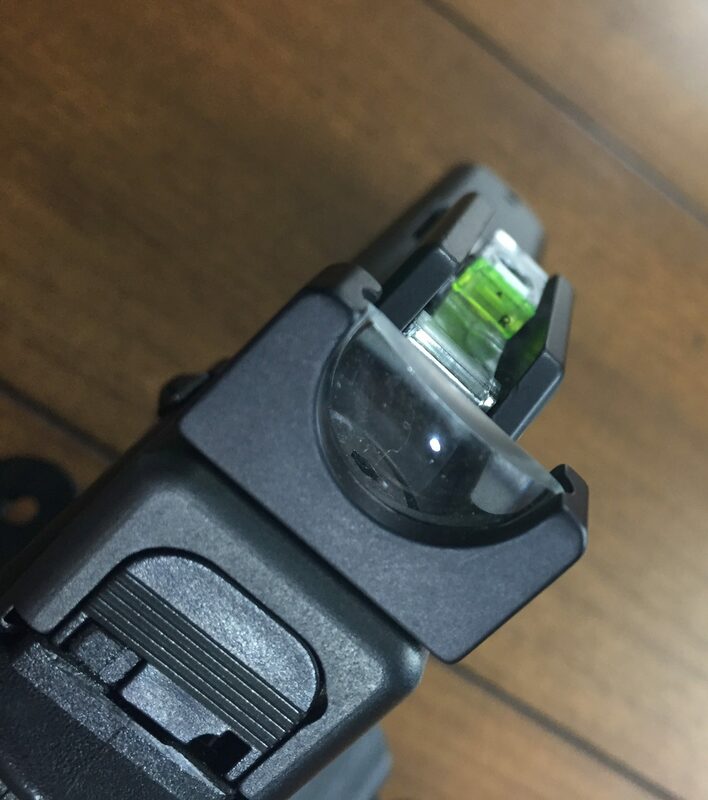 I think most will opt to go with either an RMR style sight or stick with traditional iron sight design, rather than something that falls in-between. For competition shooters that want sight picture consistency throughout multiple weapon systems, they may find this more beneficial. You can learn more about the See All Open Sight here. Now that you are thinking about what kind of sights to use on your EDC, how about what to throw in your range bag! Did you find the Delta to be too big when your arms are fully extended? I have the sight on my rifles and when I hold the rifle at arms length the Delta is huge, bigger than the glass. I wonder if this was your experience. Hi Jorge, actually not on the pistol. It wasn’t too big even at full arm’s length distance. I wonder if the rifle reticles are bigger? How was it carrying this AIWB? What holster were you using? It looks pretty big, but it is really not much different than carrying with a RMR optic. So as long as your holster is cut to accept an optic you should be good to go. I believe in that video I was using an appendix holster from t-rex arms. I cant really remember because ti was a while back, but I think it ws their appendix holster with the ‘side car’ for an extra mag. Hope this helps 🙂 thanks for the message! stay safe!